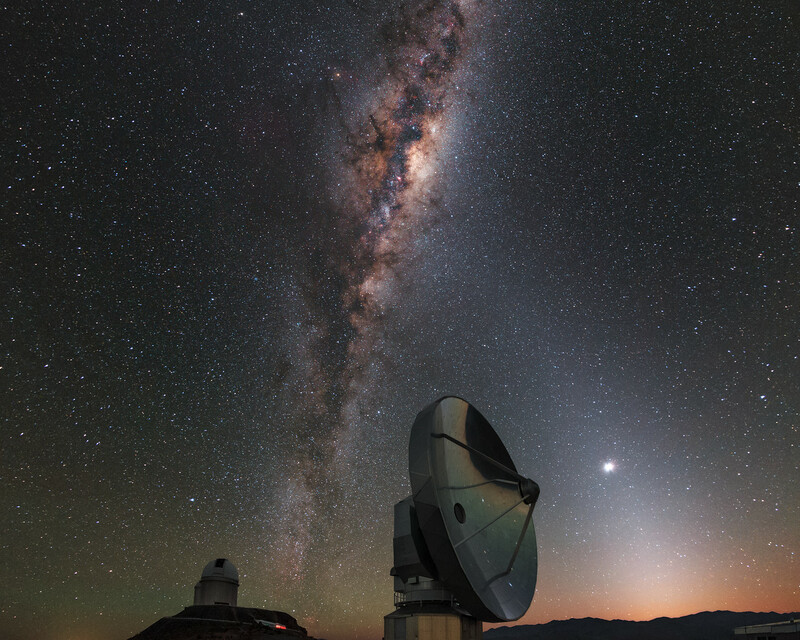 This picture was taken just before dawn at the La Silla Observatory, in outskirts of the Chilean Atacama Desert. A layer of orange hovering over the horizon announces the imminent arrival of the Sun. These first hints of daylight are kissed by the Milky Way, which stretches out across the entire night sky. This view of our home galaxy is covered with dark patches, formed from dust particles blocking the light behind them. In front of this cosmic scenery you can see some of the observatory’s telescopes. 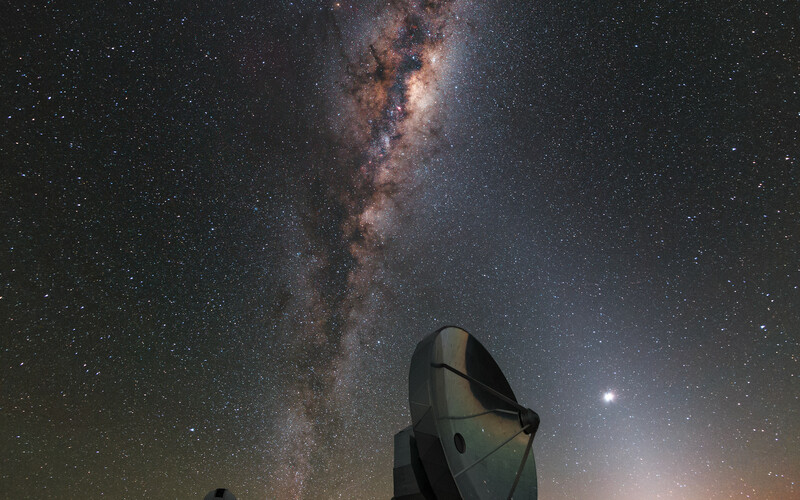 The closest is the Swedish–ESO Submillimetre Telescope (SEST), whose dish measures 15 metres across. 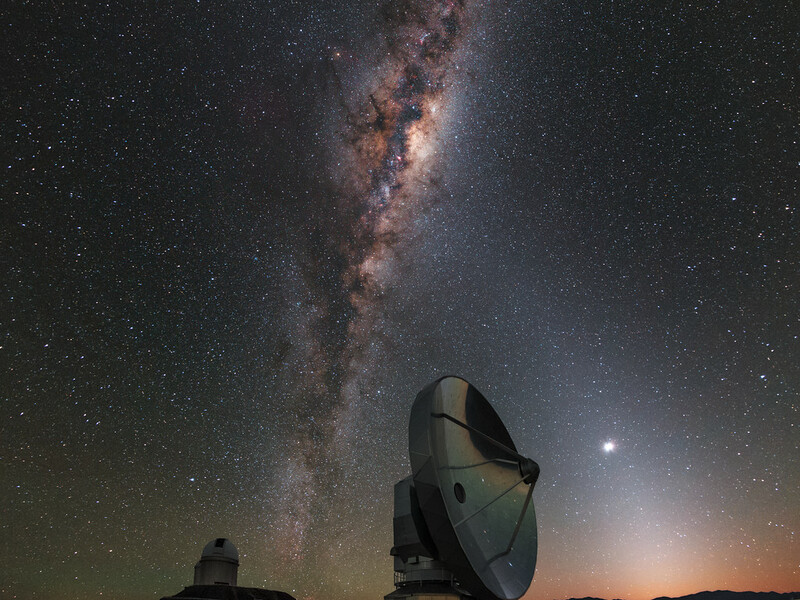 It was decommissioned in 2003 and replaced by the Atacama Pathfinder EXperiment telescope (APEX) and the Atacama Large Millimeter/submillimeter Array (ALMA). On the plateau in the background stands the ESO 3.6-metre telescope, with the Coudé Auxiliary Telescope (CAT) right behind it. SEST seems to be pointing at an extremely bright object: This is Venus, one of our neighbouring planets. Venus is lit up by the Sun and outshines all of the stars in the night sky. The triangular white glow that reaches up from the horizon through Venus is called zodiacal light. 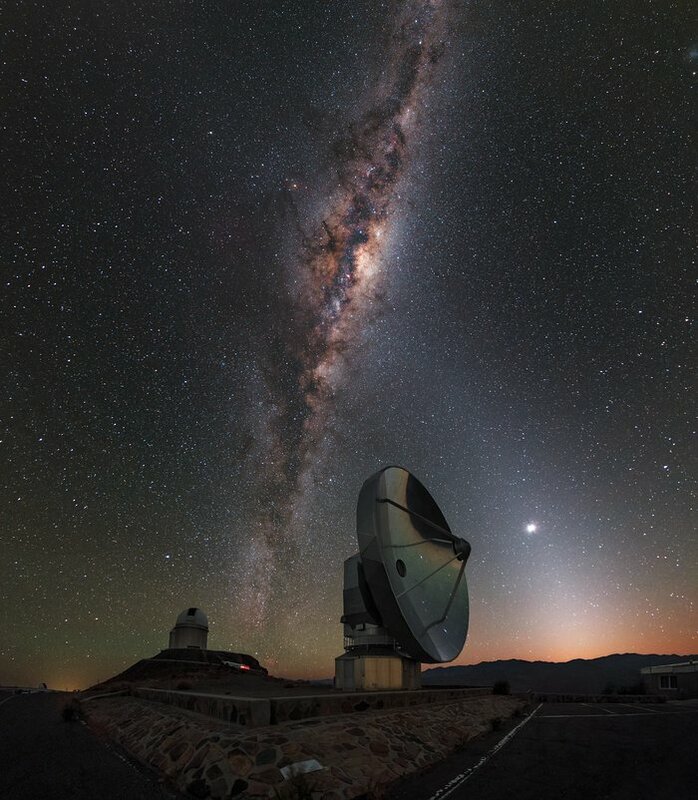 Zodiacal light is sunlight scattered by dust in the ecliptic — the plane of Earth’s orbit around the Sun.